Mark Sherriff is an Associate Professor in the Department of Computer Science at the University of Virginia. His teaching focus is in introductory computer science, computer game design, software engineering, and web and mobile app development. His research interests are in CS education at all levels, gamification, and empiricism in CS education research. 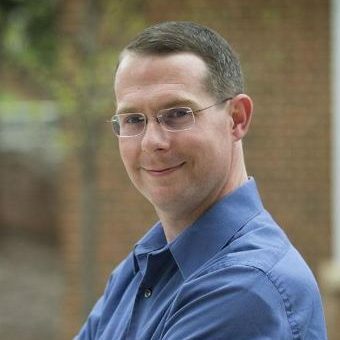 He was awarded the UVa All-University Teaching Award in 2014, the Hartfield-Jefferson Scholars Teaching Prize in 2010, and has been named UVa ACM Professor of the Year twice. Sherriff’s introductory programming course is one of the largest courses at UVa, with around 1000 students enrolled per year. Even with high enrollments, the course focuses on engaging the students whenever possible through active learning activities, including some gamified lessons like an encryption scavenger hunt to decode the day’s lecture. Sherriff received his BS in Computer Science from Wake Forest University in 2002 and his MS and PhD from NC State University in 2004 and 2007.